A trip to Malaysia wouldn’t be complete without heading over to Penang, a haven of white sandy beaches, hidden street art, trendy cafés and the best street food you could ever imagine. Here is our guide to what to eat, where to sleep and what to see on the island. George Town, the capital city of Penang, is renowned for being the street art hub of Southeast Asia. Visitors could spend days wandering around Georgetown, enjoying all types of street art from cartoon steel art pieces to public paintings mixed with 3D objects such as swings and motorbikes. Keep your eyes peeled for Penang’s most iconic paintings – ‘Reaching Up’ on Cannon Street, ‘Little Children on a Bicycle’ on Armenian Street and ‘Boy on a Motorbike’ on Ah Quee Street – blink and you’ll miss it! Food, food & more food: Going to Malaysia without trying their street food would be like going to Canada and not having poutine! Street food is a way of life for most Malaysians and definitely a ‘must-do’ when visiting Penang. Whether a backpacker or a flashpacker, Penang’s street food offers authentic dishes and allows visitors to experience the real culture of the island – so pull up a plastic chair and enjoy. Which are the best local dishes? Assam Laksa (spicy noodle soup), Char Kway Teow (traditional Malaysian noodle and prawn dish), Wanton Mee (noodle and dumpling dish served with hot broth), Nasi Lemak (rice with a little bit of everything – egg, prawn, chicken, etc. – and is a popular breakfast dish among the locals), Char Koay Kak (imagine the flavours of carrot cake in a stir fry), Popiah (sweet and savory spring rolls) and Ice Kacang for dessert (shaved ice, topped with jelly, nuts and coconut milk). Stretchy pants are mandatory! 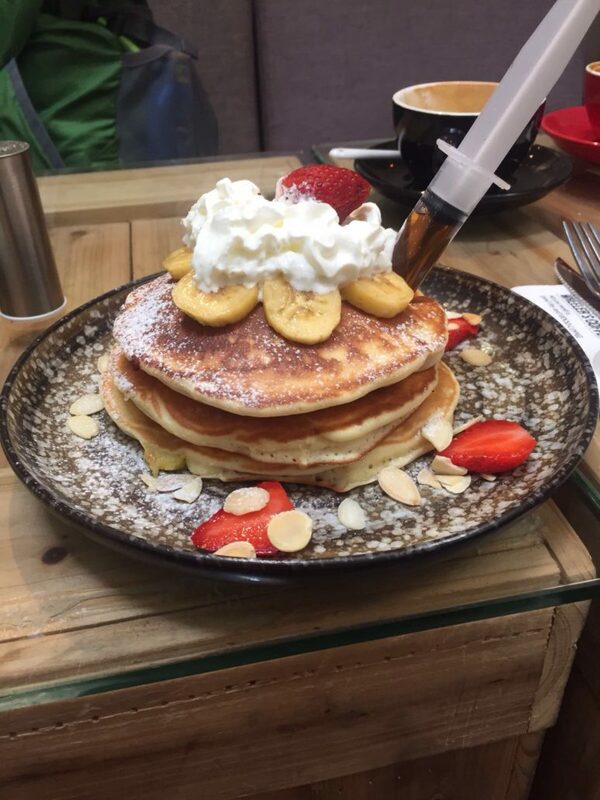 Wheeler’s Coffee – a bicycle-themed café and pancakes delivered with a syringe full of syrup – does it get any more hipster? Located on the iconic, Love Lane, Wheeler’s Coffee offers the ultimate coffee fix with bicycles used in every way possible, from light fixtures, tables and stools to flower pots, wall decorations and even the tip jar. Another one to add to the list is China House, three heritage buildings linked together by an outdoor courtyard and best known for their endless choices of delicious cakes. Crayons are even provided for doodling right on the tables. 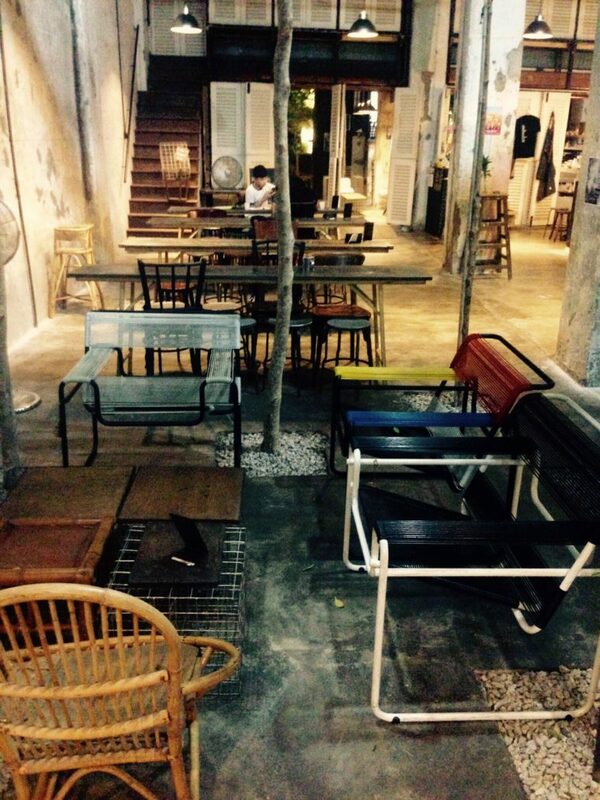 Finally, Awesome Canteen is another top pick and well it’s…. awesome! No two pieces of furniture are the same and tall, skinny trees are growing right in the middle of the café. Let’s go to the beach, beach: Second, to Georgetown, Batu Ferringhi is one of Penang’s most popular destinations offering white sandy beaches, water activities, horseback riding and night markets. Cocktails at a beach bar while enjoying the spectacular sunset is a must – favourites include Bora Bora or Sigi’s Bar & Grill. Batu Ferringhi is easy to get to – an hour bus ride from Georgetown and costing just $0.82 per person each way. As Georgetown is a UNESCO World Heritage Site, many of the old heritage shops and houses have been restored into cool and quirky hostels and guesthouses. The Frame Guesthouse is a three-storey heritage building, originally a frame maker shop and now one of the best places to stay in the heart of Georgetown. Most of the space was left how it was found before renovations, therefore the guesthouse now offers a minimalistic, trendy space, with the heritage feel being very much still alive. Private double rooms cost from $19 per person per night. Dorm rooms cost from $9 per person per night. To switch it up, check out The Frame’s sister properties, Old Penang Guesthouse and The 80’s Guesthouse. How to get there: International flights are available from Canada’s major cities to Kuala Lumpur, Malaysia’s capital city. From there, Air Asia offers flights to Penang costing as little as $17 per person each way and it’s just an hour flight. Alternatively, the buses are extremely safe and comfortable, costing from $10 per person each way and taking five hours.